An alien is sent to Earth as a baby from an unknown planet called Krypton and develops the ability to fly and project laser beams from his eyes…. A science wiz kid is bitten by a radioactive spider and quickly evolves into a spider/human hybrid and one of his most dangerous foes is a human with an alien symbiotic costume living inside of him. I’ve been reading and collecting comic books for a long time. Over the years, there have been numerous highs and lows in regards to the story arcs, but my interest peaked a few years ago when Dan Abnett and Andy Lanning (“DNA” to many comic book fans) revived Marvel’s cosmic universe. They made the Silver Surfer significant again and turned Nova into an A-list character. But most importantly to me, they created a new Guardians of the Galaxy team and its series was one of the best I’ve read in years! The stories were entertaining, witty, exciting, and the artwork was great. 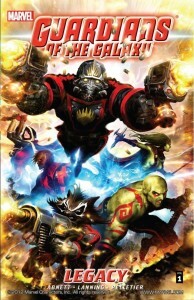 The series was eventually cancelled, but I started to read rumors about a Guardians of the Galaxy movie in the works. I asked myself, “Really? Guardians of the Galaxy?” The Iron Man and Captain America movies were hits and the Spider-Man movies were always popular. So why would Marvel risk making a movie based on a newer, less familiar comic book and not stick with their mainstream characters? 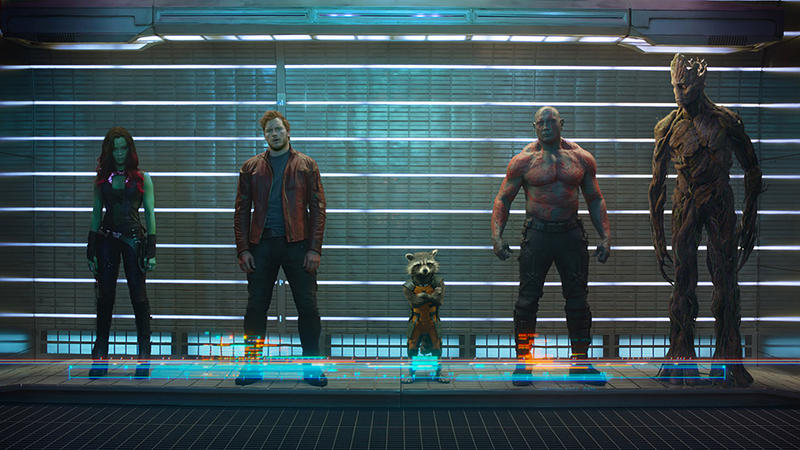 Well, last week I saw the Guardians of the Galaxy movie and my doubts were pushed aside. I was blown away! The story was great, the actors were casted well, and the special effects were amazing. At the core of the film was the excellent portrayal of Peter Quill/Starlord by Chris Pratt. He brought the same comedic wit to the movie that he uses on Parks & Recreation. His character is a pleasure to watch as he provides the excitement of an action hero and the humor of a comedian to the movie. I was even pleasantly surprised by how well Dave Bautista portrayed Drax the Destroyer. 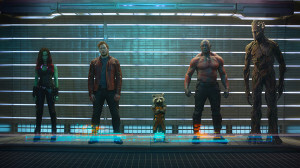 James Gunn (writer & director) added more humor to the personality of Drax and Dave Bautista did a nice job of combining the intimidating personality from the comic book and the humor from the film. I also liked how Zoe Saldana depicted Gamora: deadly fighter with a moral compass. Last but not least, Rocket Raccoon and Groot shared the same entertaining banter displayed in the comic books. Their comradery was on full display as the joke-wielding epicenter of the team. It was impressive how well the actors were able to coordinate along with the props and individuals standing in for the two CGI characters. It’s great to see Marvel investing in the cosmic characters within their film projects. They held onto a small niche for a long time in the Marvel Universe and eventually were almost forgotten about for years. Dan Abnett and Andy Lanning brought many characters back to the forefront and raised some to a higher level. After watching Guardians of the Galaxy, I can confidently say that I went from being unsure about the movie to believing that it is the best of Marvel’s movies to date. Now I have my fingers crossed for a Nova appearance and a much improved Fantastic Four movie. But until then, I give Guardians of the Galaxy two groots up!